Nayyirah Waheed’s sweeping poetry debut, before Salt. Personal Take: I follow Nayyirah on social media. I’ve read her book Salt, and she blew me away with her gentle, yet piercing words. So I wanted to read hear earlier work in Nejma. While you can feel the same sentiment and emotional drive. Nejma didn’t quite pull me in. 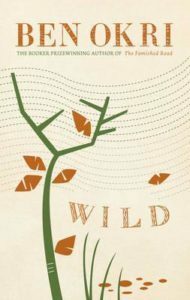 The book cover is beautiful, and some of the poems were beautiful as well. But there were a few poems that I felt took up space when it didn’t need to, and a few more I couldn’t relate. But I still appreciated that this is some of her early work before Salt, and to see that transition and growth is inspiring. Audience: Older readers who love poetry. Other recommendations: In case you didn’t catch it from my review above – Salt by Nayyirah is a MUST read. milk and honey is a collection of poetry and prose about survival. It is about the experience of violence, abuse, love, loss, and femininity. It is split into four chapters, and each chapter serves a different purpose, deals with a different pain, heals a different heartache. 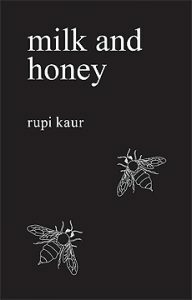 milk and honey takes readers through a journey of the most bitter moments in life and finds sweetness in them because there is sweetness everywhere if you are just willing to look. (From Goodreads). Personal Take: I wasn’t sure what to expect of Kaur’s poetry. I’ve seen a few on the internet, and it was only after multiple people recommended I read did I finally pick it up. At times, the writing was beautiful. The imagery evoked and the emotions etched on paper is simple but profound. The themes are nicely organized and easy to follow. At times, I felt she pushed it too much with some of the sexual themes, but some worked well. I definitely enjoyed her poetry, and might eventually check out her new book. Audience: Older readers who enjoy poetry. Other recommendations: Kaur recently published her second poetry collection called The Sun and her Flowers. Personal Take: This book was quite an emotional experience. The poetry, though longer than what I’m used to reading, is so raw and pure. The confessional style both hits home where its relatable, or bounces off base, but the imagery is so specific and engrossing, I could almost feel what she wrote about. This book didn’t contain poetry alone, but prose as well, which also followed the confessional theme. The tone was equal parts dark and brooding, and hopeful. The Anatomy of Being has the sense of an artist who has put her soul into her art, and it shows. There is precision in her pain and reflections, and nothing pretentious in her journey. There were poems I couldn’t relate to, but I couldn’t help admiring purity of it. If you’re into poetry, this is a book worth delving into. Audience: Older readers for raw style and sexual themes. Other recommendations: Shinji Moon hasn’t published anything after this book, but readers will also enjoy Rupi Kaur’s Milk and Honey. Personal Take: I’ve read bits and pieces of Leav’s peppered all over the internet, but having a collection in my hands; that just left me breathless. I loved that the themes were connected to music. The poems and stories itself were beautiful; all at once guttural and emotional, but still poised enough to be delivered clearly. Some of her poems can be a bit heavy on the tongue, or too long, but that was just a minor observation. 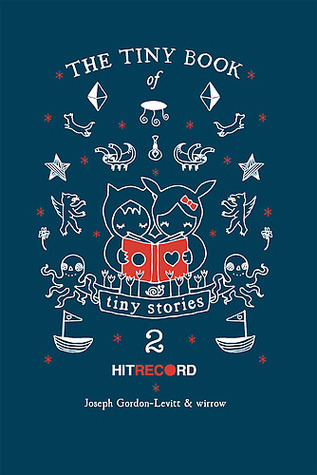 Her stories too, were beautiful one-shot moments. If anything, this book left me feeling emotionally spent, because it hooked me along its lines throughout. I’m definitely a huge fan, and will continue to collect and learn from her work. Audience: Touches on sensuality, so I’d say older teens and adults. 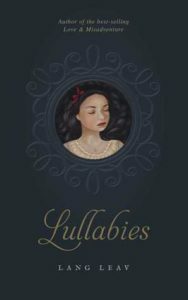 Other recommendations: This is the first Lang Leav that I’ve read, but I know I’ll be picking up her other works: Love & Misadventures, Memories, The Universe of Us. Personal Take: There’s something captivating and haunting about Anne Sexton’s poetry. Taking well-known fairytales, Sexton captured their dark essence in her stanzas. Much like the style she’s known for, there are elements of a tortured confession in each of her poems, beginning as if like an anecdote before launching into a familiar, but kind of new, tale. In some instances, it is a jab at the style of how fairytales are told, replacing happy endings with morbid or unhappy endings. One of the things I observed and loved when I read her poetry is the use of language. Sexton’s dark tones were, like I said, captivating and moving. Transformations brought forth interesting twists to the well-known fairytales that I reveled in. 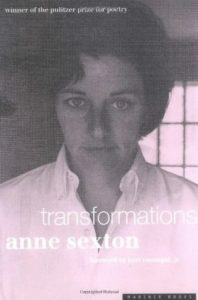 Other recommendations: Anne Sexton wrote many poetry books, one of which, Live or Die, received a Pulitzer Award for Poetry. Personal Take: After being charmed by the first volume, I couldn’t resist ordering the second, and just like the first, it was utterly irresistible to go through. 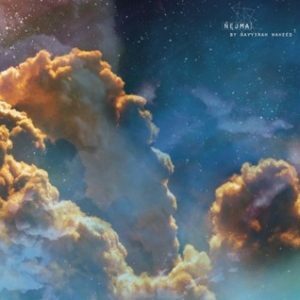 The one-page stories, the impeccable pieces of artwork, and seeing how the collaboration works, it all makes this project so unique and necessary for other creatives and humans in general. There isn’t much to describe this book other than it is filled with happiness, and that everyone who wants a shot of it should read it. Audience: Older audience, for understanding abstract emotions. 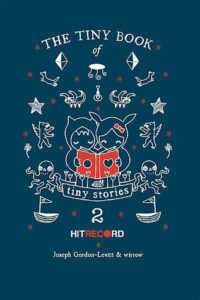 Other recommendations: I’ve read and reviewed The Tiny Book of Tiny Stories, Volume 1, and will be reading Volume 3 soon! 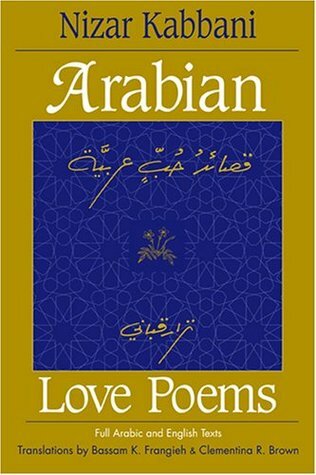 Personal Take: Published posthumously, this book is a collection of Qabbani’s love poems, with its pages split in two– one side of the pages had Nizar’s original poetry in Arabic, and on the other side were the English translations. All I can say is that I’m lucky that I can read Arabic, because the English translations did his words no justice. 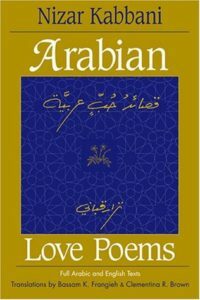 Qabbani was definitely a genius– his Arabic poetry so piercing and straightforward, and yet profound with meaning and emotions with charming, sensual imagery. As I was reading through his work, I enjoyed getting a glimpse of his personality, and the recurring themes of his writing. Many of the poems I read threatened to made me cry from how perfect it was. Honestly, I can’t describe it other than that– perfect. Audience: Older readers, as Qabbani subject matters tend to be sensual. Other recommendations: Fans of Qabbani can check out his original poetry books published during his time, as well as other separate collections published after his death. 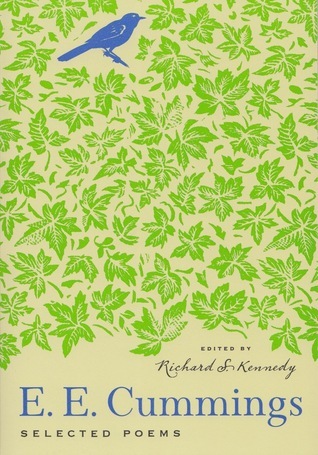 The one hundred and fifty-six poems here, arranged in twelve sections and introduced by E. E. Cummings’s biographer, include his most popular poems, spanning his earliest creations, his vivacious linguistic acrobatics, up to his last valedictory sonnets. Also featured are thirteen drawings, oils, and watercolors by Cummings, most of them never before published. Personal Take: I’ve read bits and pieces of E.E. Cummings work, and noted the interesting stylings he applies, but never read his work as a collection. I think this may have been the hardest book I’ve ever read. 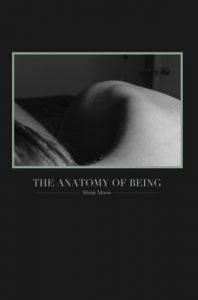 While it helped that there were interluding breaks throughout the book outlining the themes of his poetry, and his experimentation with poetry and prose, a few of his pieces sometimes felt they were beyond my comprehension. It’s absolutely astounding to see how he manipulated words with visual intention in mind– and he was truly a genius for breaking the rules. His later works were my favorite though, as it were the ones that were truly in touch with his thoughts, and it’s something I found myself relating to. E.E. Cummings is a must read poet, if only just to experience his intoned words. Audience: Cummings explores sexuality and sexual freedom in his poetry (and much of it is objectifying the female body…), so that warrants adult readers. Other recommendations: There are plenty of E.E. 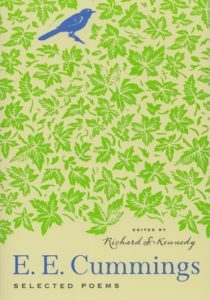 Cummings poetry collection and books published, so be sure to check them out and take your pick! Personal Take: There are no words to describe how much Okri’s words blew me away. Each poem was succinct and raw, beautiful as it draws on emotional imagery. The poetry takes on different subject matters, and all of them convey the depth of human pain and perseverance. This is a short book that needs to be savored, and it was well worth the emotional journey. Though this is the first work I’ve read by Okri, I’m determined to read more of his beautiful writing. Audience: To all poetry lovers, and those who enjoy Spoken Word. Other recommendations: Okri has written several books, among them is award-winning The Famished Road, but do check out more of his published work. Personal Take: I received this as a gift some years ago, and I thought it was time to pick it up. I absolutely loved the selections, which varied from really old, to the modern, and all capturing difference facets of this beautiful city. The illustrations included with each poem was also beautiful to look at. As someone who’s visited the city and walking through its street, I couldn’t help feeling that this was exactly how London felt. This book is cumulation of beautiful work, and I definitely recommend it to anyone who wants to marvel at the city of London through words. Audience: Anyone who enjoys poetry and art. Other recommendations: If you’re looking for poetry to read, I would recommend R.M Drake’s Black Butterfly and A Brilliant Madness, as well as Tyler Knott’s Chasers of the Light.